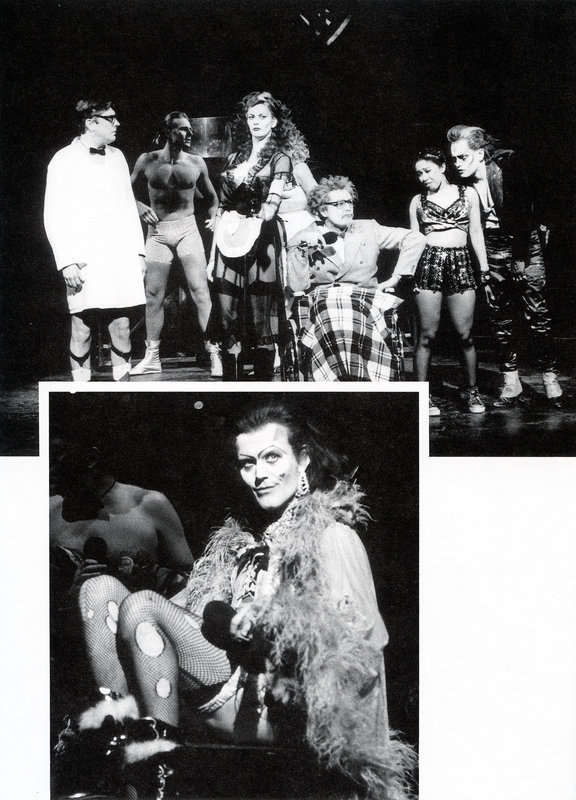 From the 1991 London production of The Rocky Horror Show. Anthony Head as Dr. Frank-N-Furter. Craig Ferguson as Brad, Adam Caine as Rocky, Kate O'Sullivan as Magenta, Ivan Kaye as Dr. Scott, Vicky Licorish as Columbia, and Tim Whitnall as Riff Raff.